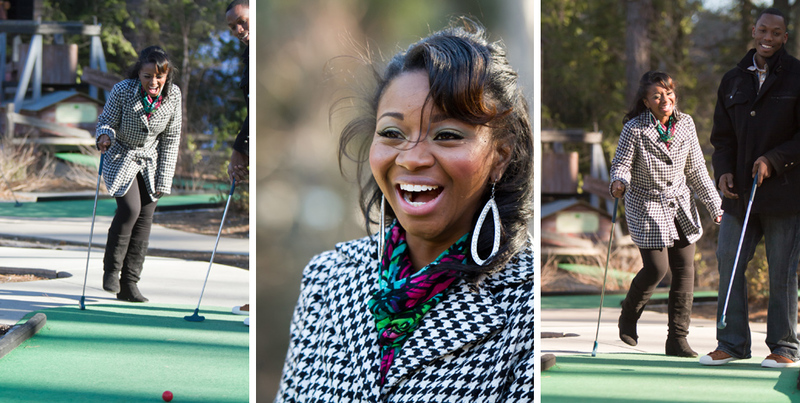 I had a blast photographing Amber and Jerome at Stone Mountain Park the other day. They won an engagement safari at a recent bridal show and were excited to get together for the shoot. We planned to take photos at Snow Mountain, but someone forgot to reserve the tickets. 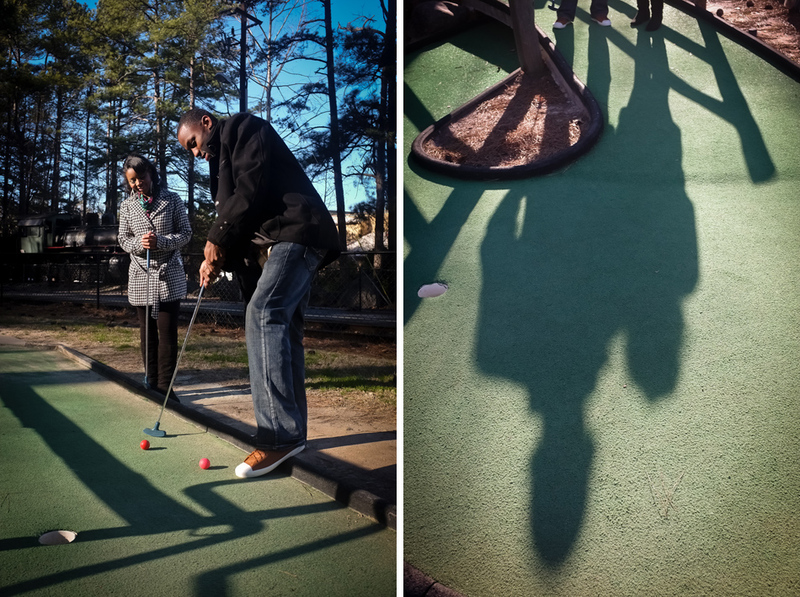 We decided to head over to the putt putt golf course to see what we could come up with there. Amber and Jerome ragged on each other about how bad they were and laughed and laughed and laughed some more. Then we headed to the top of the mountain via the skylift, where we found out it gets very cold on top of Stone Mountain in February. After a quick foray onto the top of the mountain, we headed back down to the warmth of low ground. Zsa Zsa was waiting patiently for her turn to join us on a trip to the park.